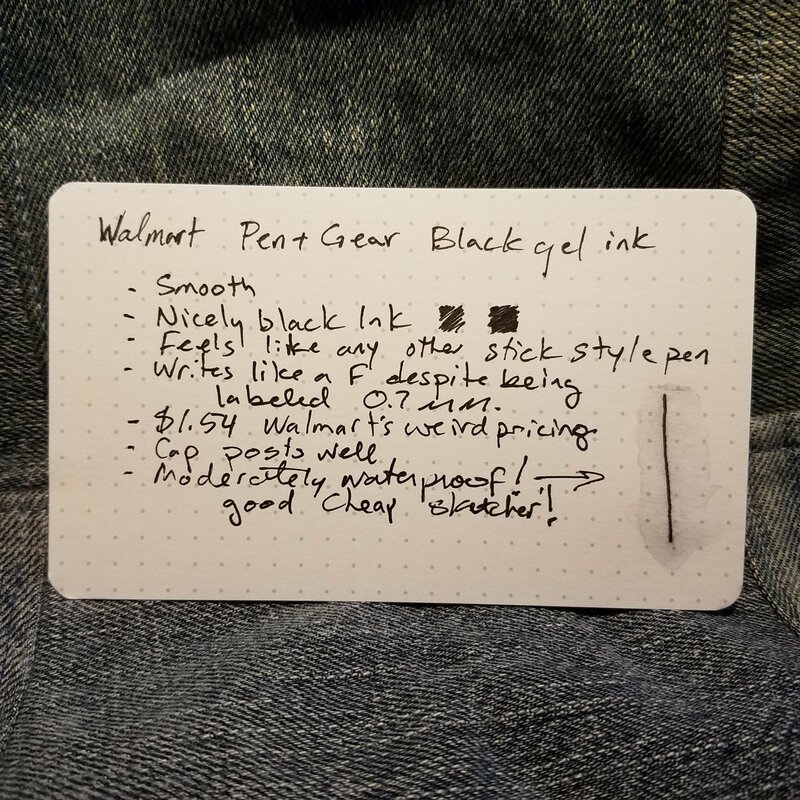 Pen+Gear might be Walmart’s house brand but it has contained some surprising quality. I snagged the Pen+Gear Gel Stick Pens (GSP) n a whim from the clearance section post Back-to-School season. Cost in clearance was around 50 cents. Regular price is a few dollars. They are made in China. 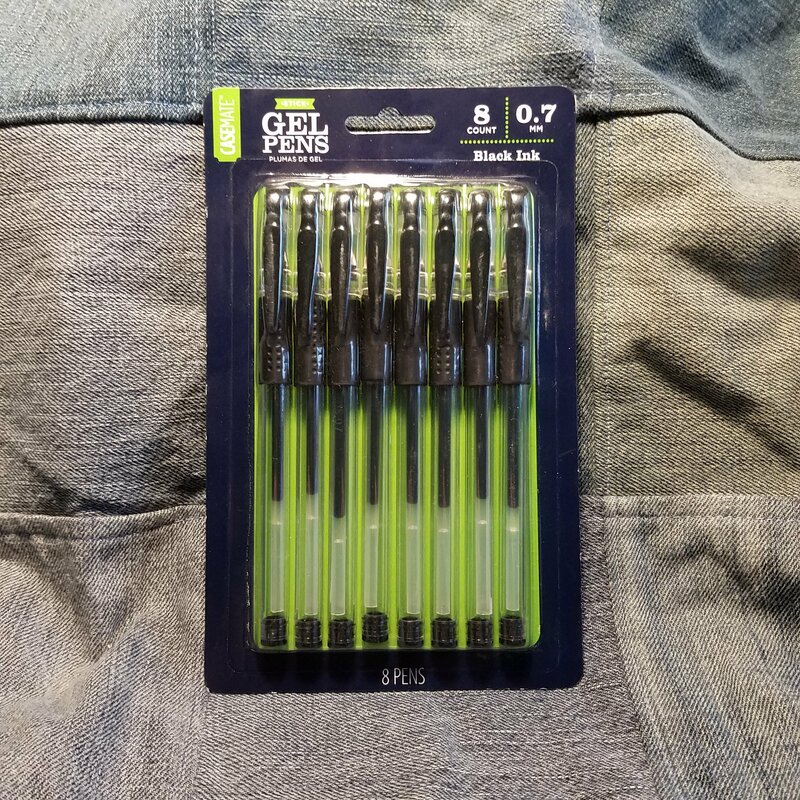 In the package are eight 0.7mm pens. Each pen has a grippy rubber grip with circular divots to improve the grip. The tip at the working end is metal. 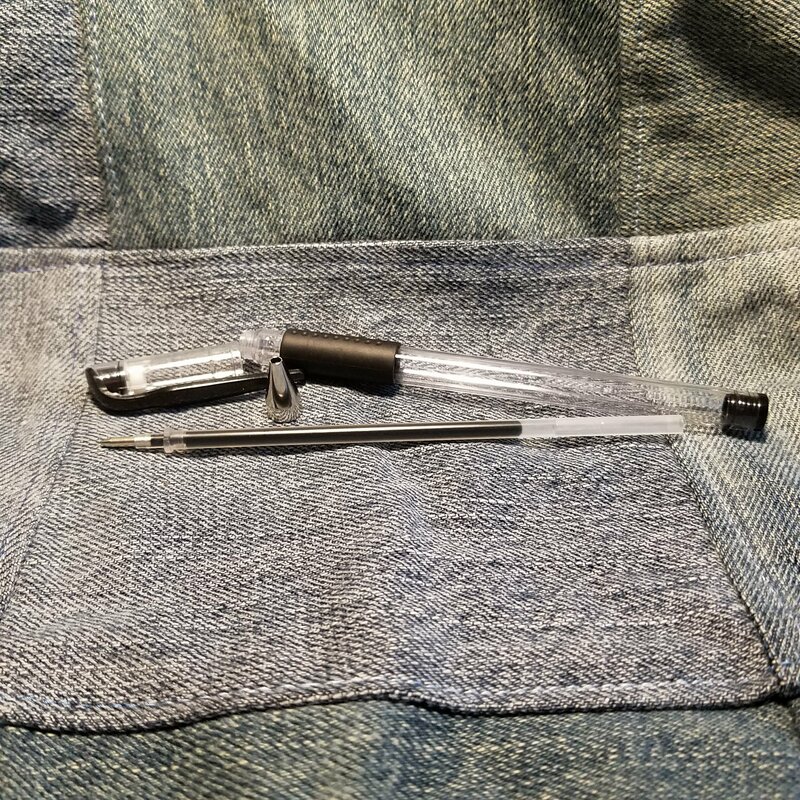 The tip unscrews to reveal a pretty standard stick pen gel refill. Each refill has a different amount of ink. You can see the differences in the images of the package. The refill doesn’t last very long. It took less than a half week for me to blow through one at my day job. The ink itself is nicely dark, doesn’t grey out in the middle, and has really nice flow. Some of my pens were perfectly wonderfully smooth, others were scratchy and felt gross on all paper. The ink seems moderately waterproof. I do not know if it is lightfast. I have not tested it. The cap snaps closed securely and with a nice click. It posts in the same manner. All of it is nicely secure. Please ignore the words. This was the one good pen in the package. Honestly, while the Pen+Gear pencils and notebooks are a steal these aren’t. You have to find the pens that work smoothly and contend with scratchy tips to do so. 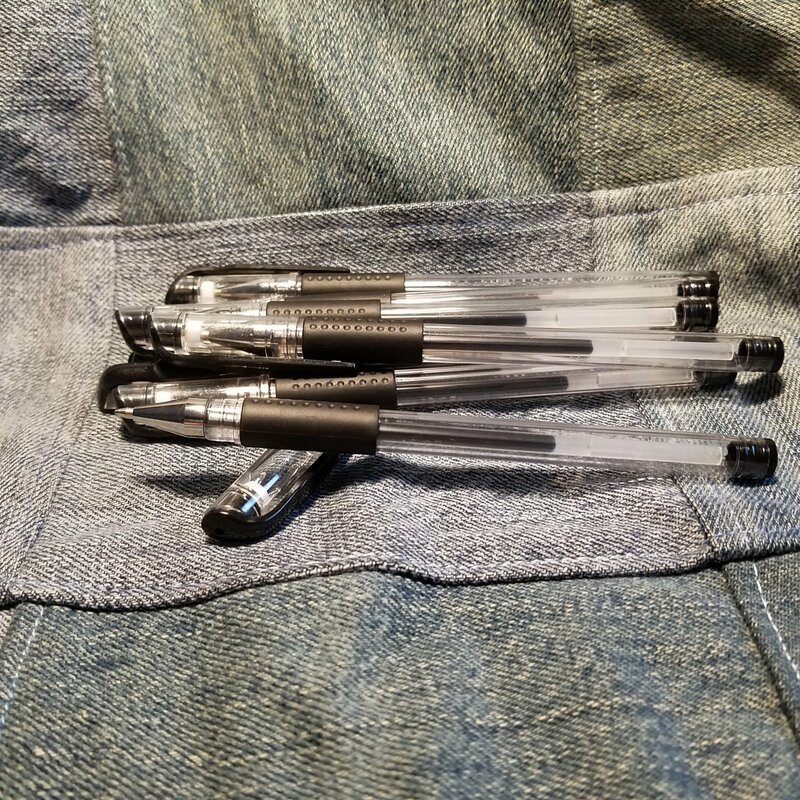 Even if you need a cheap waterproof sketcher you can usually walk into any store (here in the US) and pick up a 2 or 3-pack of Uniball Signo in black for not much more and have almost guaranteed smoothness and success. The Pen+Gear GSP is a pass from me. This entry was posted in Review on 20181023 by leslie.